The Wattle Award is for Good service in the Local area, Region, State, National and International. Recipients of the Bar to the Wattle are recognised for their extended continuation of excellent service in the Wattle classification. To make a nomination please complete this form AW.13 Australian Adult Good Service Award Nomination Form. The descriptor and delegations guideline is in the table below. Recipients of this Award have demonstrated an effective contribution to GGA at the Local, Region, State, National or World level. They provide support for others beyond their primary role. They show regularly how to serve Girl Guiding by identifying and fulfilling needs which have a positive impact on others. Those recognised with the Wattle Award are a role model to Guides, volunteers and the local community, consistently living the Promise and Law and abiding by the Code of Conduct. Recipients of the Bar to the Wattle are recognised for their extended continuation of excellent service in the Wattle classification. 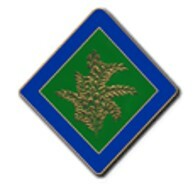 gold bar with a blue edged lozenge depicting a wattle on a green background.